stirs some bad memories—and ends with a gunshot. Soon Devlin is forced to again face a past he'd hoped to leave behind, as a member of a mercenary force that helped put a brutal South American dictator into power. decimated by layoffs and cutbacks. Then one day what appears to be a straightforward homicide — a body left in an abandoned rowhouse — draws her and Devlin together, and ultimately enmeshes both in a conspiracy that stretches over twenty years and reaches to the highest levels of the U.S. government. Before long, they're both the targets of a ruthless assassin haunted by his own wartime experiences. For Devlin, it could all mean a last shot at redemption. For Tracy, the biggest story of her career might just cost her her life. "Wallace Stroby is a knockout writer, the king of dialogue and a terrific storyteller. This timely and relentless thriller is taut, tight, vivid and brilliant." "Stroby remains at the top of his game. ... His prose is as clean, lean and mean as ever." "Wallace Stroby's writing is all muscle, with not an ounce of fat. SOME DIE NAMELESS is propulsive and intelligent, populated by the very best kind of characters: authentic, complicated human beings who are capable of surprising both the reader and themselves." "Wallace Stroby is the real thing, a writer who channels two of the best Raymonds – Chandler and Carver – with his tough, lean prose and 'dirty' realism," in a high-voltage story of murder and corruption." "Stroby continues to prove himself one of the finest crime authors working today." "An old school thriller with both smarts and heart." "Stroby keeps the adrenaline flowing page after page. Timely, exciting and shrewd ... prime crime fiction." "Stroby, already a crime fiction luminary, is channeling his inner Elmore Leonard more and more these days, and this time he's headed to Leonard's old stomping grounds, a Florida populated by rogues, reporters, and mercenaries. Expect quality thrills and action." "A must-read for lovers of thrillers, crime, and noir." "His best book to date ...You’ll be amazed." 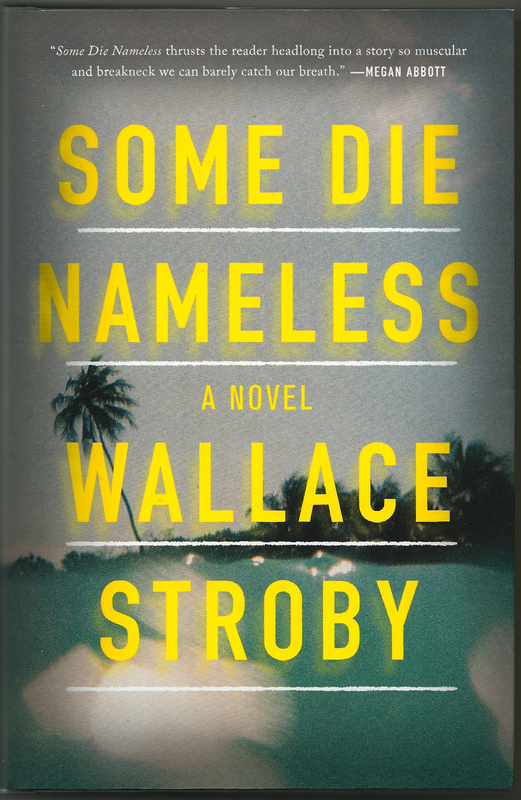 "Wallace Stroby is one of the hottest crime fiction writers working today. He’s fast becoming a national treasure." "Stroby is a master of the high-octane crime novel, a perfect combination of pace and atmospherics .... (This) might also be Stroby’s great tribute to journalism... His enduring respect for the craft gives the story an extra jolt of intensity. " "Stroby takes on the political thriller and keeps it real and gritty "
"A thriller with heart and soul and brawn."